Hike in the Carpathians: Bucegi mountains, Piatra Craiului Natural Park, Fagaras Mountains. 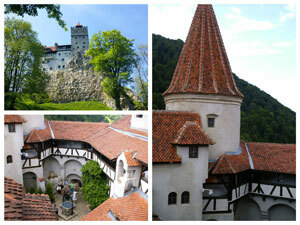 Guided tour to Brasov, Sibiu, Sighisoara, Bran castle, Peles Castle. This tour is an excellent choice if you want a mix between the nature, mountains, wild scenes and also cultural sites. During 3 hiking days you will explore some of the most beautiful Carptahians mountains situated in Brasov area, Bucegi Mountains, Piatra Craiului Mountains and Fagaras Mountains. In the cultural days you’ll visit the most famous castles from Romania: Peles Castle, Bran Castle, , you’ll enjoy the charming medieval cities as Brasov, Sighisoara and Sibiu or the old charming villages and the beautiful fortified churches. Available 2016 - May 1st to October 31. Depending on weather conditions. Meet in the morning at your hotel or at the airport (for arrival flights until 11.00) with our mountain specialist guide. We’ll drive you to Sinaia for a visit at Peles Castle – Sinaia, former summer residence of the Romanian kings and one of the best castles in Europe. 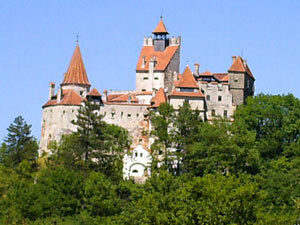 Next we’ll go to Bran Castle, one of the most famous castles in Europe due to the story of Vlad Dracula. The castle was built in 14th century and represent a perfect example of military medieval architecture. 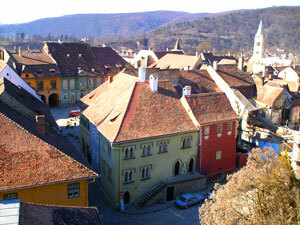 We’ll end the day in Brasov, an old medieval town dating since 13th century. We’ll have a walking tour in the old town. Start the hiking program together with our mountain guide. This will be a medium to advanced hike to Bucegi Mounains. Admire the great view from the top of the mountains and also go to the famous rocks with human faces called “Babele” – Old Ladies and “Sfinx”. Optional for easier hikes we can use the cable car to go up and down the mountain and then just have an easy hike on the top. Note: The daily hiking routes are established together with our mounain specialis guide according with the weather, your hiking experience and health. Return in the evening to Basov. Breakfast. Today is time to explore “Piatra Craiului” Mountains. The Piatra Craiului Mountains are a mountain range in the Southern Carpathians in Romania. In Romanian "Piatra Craiului" means "Rock of the King". 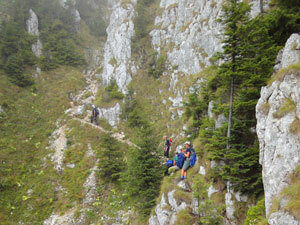 The Piatra Craiului mountains form a narrow and saw-like ridge, which is about 25 km long. The ridge is regarded as one of the most beautiful sights in the Carpathians. At the end of the hiking activity we’ll drive you (aprox 1hr) through a beautiful road at the foot of the mountains which cross through charming old villages. We’ll arrive in the area of Fagaras Mountains. Overnight in Sambata area, at the bottom of the mountains, in a 3 stars pension. In the morning we’ll drive to Sighisoara also caled “The Pearl of Transylvania” a wonderful medieval city where you can stil enjoy the medieval atmosphere. Main attractions: Clock Tower, Vlad the Impaler’s birth place, Covered stairs, church on the hill. I this area can be seen a lot of old charming villages which still preserve an architecture older than 200 years with old traditions and local craftsemen. We can visit the fortified churches which are an unique type of medieval architecture built to protect the local village community. 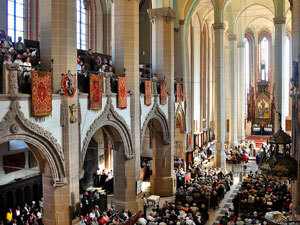 The most important are Biertan, Mosna, Richis and we can stop to visit some of them. Today we’ll hike in the Fagaras Mountains, the highest mountains from Romania. The route will be established with your mountain guide. In he mountains still live a lot of wild animals as: brown bear, wild black goat, mountain rooster, deers, lunx, wolfs aso. Wit a bit of lack if you will keep quite we can see the black goat or the deers. Optional we can organize a Wild Bown Bear watching program. You’ll go with the ranger, before the sunset, in a special watch tower in an area where are big chances that the brown bear will come and may be seen. Today we’ll go to visit Sibiu, one of the oldest and most important medieval towns of Transylvania, dating since 12th century. Walking tour in the Old Town. Highlights are: Big Square, Little Square, Evanghelic and Orthodox Cathedral, Liar’s bridge, towers and fortifications. Then we’ll leave on the way to Bucharest where we’ll arrive in the afternoon (aprox 18.00 hrs). Drop-off at the airport or in a hotel from Bucharest. 5 nights accomodation with breakfast; transport with car, minivan, or minibus; Private mountain and cultural guide – English language; Entrance tickets at museums; Local taxes. Lunches and dinners; Photo or video tax at museums; Other services not specified in the tour program; Banking or e-payment fees. Why to book the Hiking and Cultural tour in Romania? If you love nature, wildlife , history and culture, our combo tour in Romania it is an excellent choice to mix all this elements. It is a 6 days trip to Romania which include cultural visits to some of the most important attractions from our country and also include couple days of hiking in the Carpathians mountains. We’ll hike in the Bucegi mountains, in the Piatra Craiului National Park and in the scenic Fagaras mountains. Optional you can experience the wildlife through one of our special offers as Brown Bears Watching tour. During your tour to Romania you’ll visits some cultural sights as the medieval towns of Transylvania as Brasov, Sighisoara and Sibiu, the most popular castles as Bran and Peles. 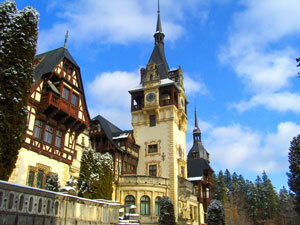 Discover Romania, Transylvania and the beautiful Carpathians Mountains through our private guided tour. During hikings days you’ll be assisted by a professional mountain guide and during the cultural visits you’ll have the services of a licensed tour guide.